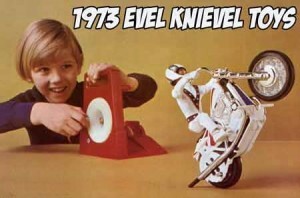 1977 Commercial for Evel Knievel toys. Evel Knievel (October 17, 1938 – November 30, 2007), born Robert Craig Knievel, was an American motorcycle daredevil and entertainer famous in the United States and elsewhere between the late 1960s and early 1980s. Knievel’s nationally televised motorcycle jumps, including his 1974 attempt to jump Snake River Canyon at Twin Falls, Idaho, represent four of the twenty most-watched ABC’s Wide World of Sports events to date. His achievements and failures, including his record 37 broken bones, earned him several entries in the Guinness Book of World Records. The merchandising of the Knievel image reached additional media. 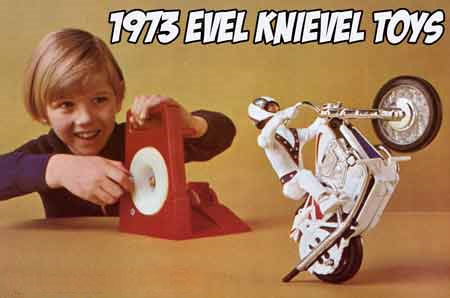 Ideal Toys released a bendable Knievel action figure in 1972; along with a host of accessories, there was also a female counterpart available—Derry Daring. BIG TRAK / bigtrak was a programmable electric vehicle created by Milton Bradley in 1979. It was a six-wheeled tank with a front-mounted blue photon beam headlamp, and a keypad on top. 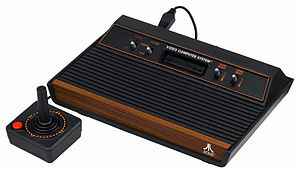 The toy could remember up to 16 commands which it then executed in sequence (such as “go forward 5 lengths”, “pause”, “turn 30degrees right”, “fire phaser” and so on. There was a “repeat” instruction allowing simple loops, but the language was not Turing complete, lacking branching instructions; the Big Trak also lacked any sort of sensor input other than the wheel sensors. There is now a small but dedicated Internet community who have reverse engineered the BIG TRAK and the Texas Instruments TMS1000 microcontroller inside it (see external links). The US and GB/European versions were noticeably different. 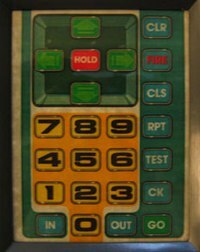 The US version was moulded in gray plastic and labelled BIG TRAK whereas the GB version was white and labelled bigtrak with a different keypad. Bigtrak also included an optional trailer accessory. Once hooked to Bigtrak, this trailer could be programmed to dump its payload. 1980 commercial for the Starbird by MB games. 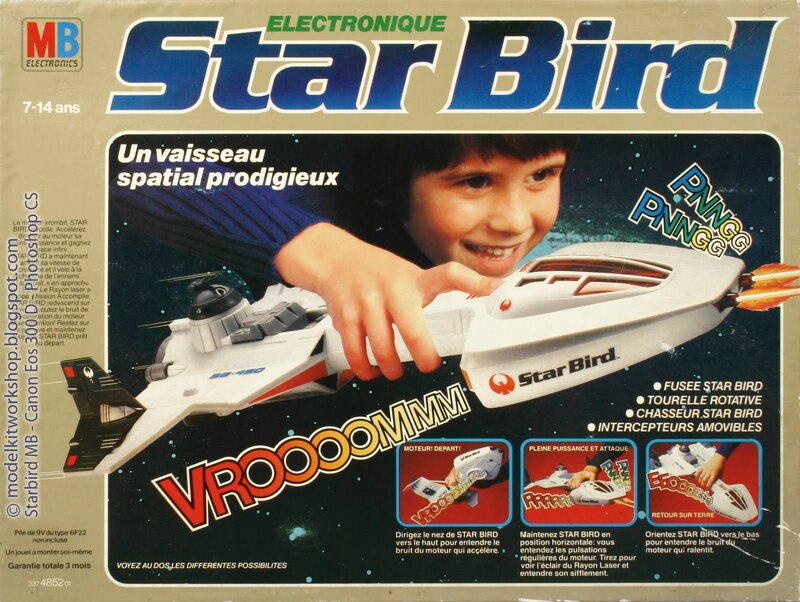 Star Bird is a plastic-bodied, electronic handheld toy that was produced by MB Electronics from 1979. The Star Bird manual describes it as “THE AMAZING SPACESHIP with realistic engine sounds and flashing laser blasts”. The toy is only used in three configurations: the Star Bird which consists of all available pieces, the Star Bird Fighter which is mostly only the front hull, and the Star Bird Orbiter which is the main body without the front hull. When turned on the Star Bird mimics an engine sound. If the toy is pointed upwards the sound would automatically be altered to imply acceleration or taking-off, while a nose down orientation gives the sound of decelerating engines. A button activates the LEDs at the front of the toy, along with a blast noise, to simulate the firing of its lasers. A simple, detachable drone-like “Interceptor” is provided at the end of each wing. It also had a rotating laser turret which doubled as an escape-pod/orbiter-type ship. Follow-up toys to the Star Bird, called the Star Bird Space Avenger and the Star Bird Command Base, arrived on the market in 1979. This toy was developed by Bing McCoy who designed a number of successful toys in the late 70’s including Electronic Battleship and ROM the Spaceknight. This is an advertisement for the Commodore 64 a popular computer in the 80’s. This particular advert has the Elephant sitting on a chair working his own personal unit :). The Commodore 64 is an 8-bit home computer introduced by Commodore International in January 1982. Volume production started in the spring of 1982, with machines being released on to the market in August at a price of US $595. Preceded by the Commodore VIC-20 and Commodore MAX Machine, the C64 features 64 kilobytes (65,536 bytes) of memory with sound and graphics performance that were superior to IBM-compatible computers of that time. 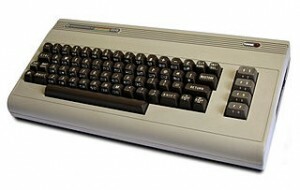 It is commonly known as the C64 or C=64 (after the graphic logo on the case) and occasionally as the CBM 64 (for Commodore Business Machines), or VIC-64. It has also been affectionately nicknamed the “breadbox” and “bullnose” due to the shape and color of the first version of its casing.